Enterprises are facing increasing network complexity as cloud technology advances. Not only are systems exchanging data with cloud servers, but there is also an explosion of devices equipped with cloud applications. The number of access points and the amount of data being moved around and stored is increasing as well, creating new challenges related to network congestion and security risk. Many enterprises are turning to software-defined wide area networking (SD-WAN) to solve these challenges. There are many benefits to enterprise SD-WAN, including the ability to use it side-by-side with existing mutli-protocol label switching (MPLS), which many enterprises use for mission-critical data transmissions. SD-WAN vendors are springing up in the market, with venture capital backing their efforts, but there is a wide variety of services available, and all vendors are certainly not equal. It’s important for enterprises to understand exactly the services they’ll receive when it comes to SD-WAN, in addition to the relationship they’ll have with the vendor. Otherwise, they may inhibit their network solution and end up with even more complexity in the end. The DIY approach: Large enterprises with a sizable staff and technicians stationed at branch locations may prefer to keep SD-WAN management in-house, but this is only a good fit when the enterprise has been heavily involved with building the SD-WAN. In most cases, enterprises using MPLS have been relying on a service provider and will appreciate continued support from an outsourcing model. 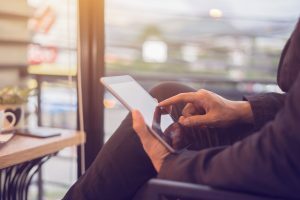 A major selling point for SD-WAN is the ability to supplement or replace WAN connections with an access point that utilizes public broadband, which allows for more flexibility and scalability, as well as faster provisioning. Choosing hybrid: Most enterprises aren’t good candidates or simply aren’t willing to give up MPLS connectivity for critical data transmissions, so they prefer an enterprise SD-WAN solution that integrates well with the existing network infrastructure. In this type of solution, the role of the service provider is important. In most scenarios, a one-size-fits-all solution is not a possibility. Instead, enterprises require a flexible hybrid solution that provides agility as they grow and adjust their network needs to other innovations. It’s also important to carefully evaluate the vendor and service provider for the network infrastructure that meets the enterprise’s needs. Many enterprises are mixing and matching a variety of service features, including reliability, performance, and application, as their business needs change and adapt to new technology. To find out how you can benefit from enterprise SD-WAN, contact us at Wanify. We can help you evaluate your network needs for your current business processes and help you anticipate the network you’ll require in the future.